The following excerpt is taken from Archdeacon John Chryssavgis’ 2016 book Bartholomew: Apostle and Visionary, pages 228-231. Chryssavgis is an advisor to Ecumenical Patriarch Bartholomew. The role of the ecumenical patriarch is highly significant and sensitive, and by no means merely symbolical or ceremonial, yet the ecumenical patriarch neither compels nor commands. 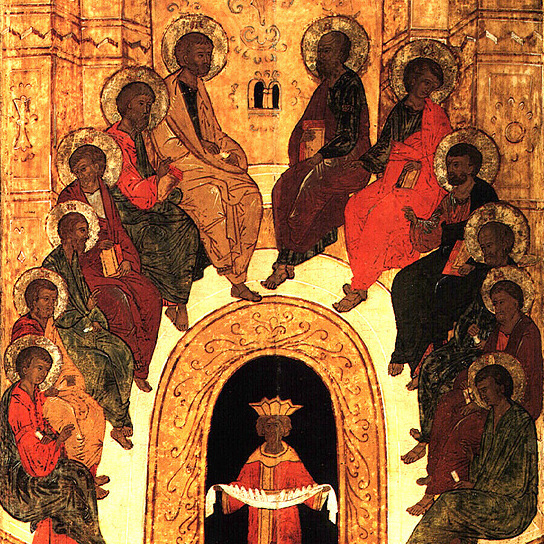 The notion of interdependence or conciliarity is vital in Orthodox ecclesiology. The aim of Bartholomew is constantly to walk a tightrope, achieving what Leo the Great in a fifth-century letter called “a confirmation by the incontestable agreement of the entire college of brothers.” Yet there is no doubt that, while the Orthodox Church is allergic to any sense of universal primacy as this has developed in the West, it recognizes the need for a universal leadership, coordination, and spokesmanship by its “first among equals,” without which conciliarity is impossible. Bartholomew has certainly labored to provide authoritative and objective leadership in synods with patience and respect for the past twenty-five years, all the while knowing that change in the Orthodox Church is normally subdued, even imperceptible. It is always a natural and organic process, never a reform from above or a revolution from below. Despite the indisputable fact of Canon 28 [of Chalcedon] and Canon 3 of the Second Ecumenical Council held in Constantinople (381) conferring upon the bishop of the city second rank after the bishop of Rome, Bartholomew’s primacy does not lie in power but actually in sacrifice and service. That is because primacy is not merely an honor, nor is it an Eastern form of the papacy. In fact, Constantinople’s weakness in human and material resources, its suffocation and suffering under historical circumstances, are precisely what perennially ensure its impartiality and paradoxically increase its prestige. The ecumenical patriarch has no pretensions to being a “universal bishop.” He claims no dogmatic infallibility, no direct jurisdiction over all. This is why the Church of Constantinople has been called “the church of Christ’s poor” — a phrase possibly coined by Gennadios Scholarios, the first patriarch to serve after the fall of Constantinople in 1453. It describes the humility of the Ecumenical Patriarchate — paradoxically also known as “the great church of Christ” — for its resilience and service through the centuries, including centuries-old traditions and practices, such as the consecration of sacred myron (oil of chrismation) and the canonization of holy men and women. This right of the Ecumenical Patriarchate to consecrate the holy myron does not mean that local churches are dependent on or subordinate to Constantinople. Rather, it is a tangible sign of the unity that bonds all local churchces — patriarchates and autocephaous churches — with the Ecumenical Patriarchate. It is not a sign of superiority or authority of the Ecumenical Patriarchate, but a visible sign of sacramental communion within the family of local Orthodox churches. The contemporary Patriarchates of Moscow, Belgrade, and Bucharest also consecrate holy myron.